Prints are at the top of our hit list this season and this skirt is everything we are loving. 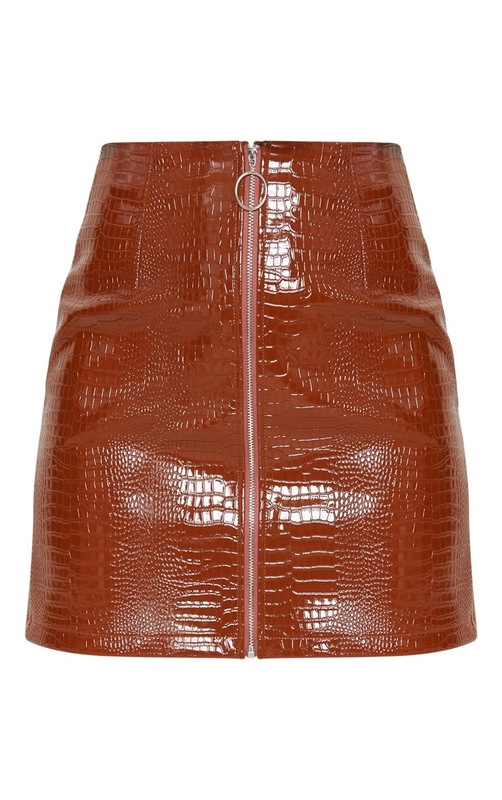 Featuring a brown vinyl croc effect material, a bodycon fit and a zip fastening on the front. 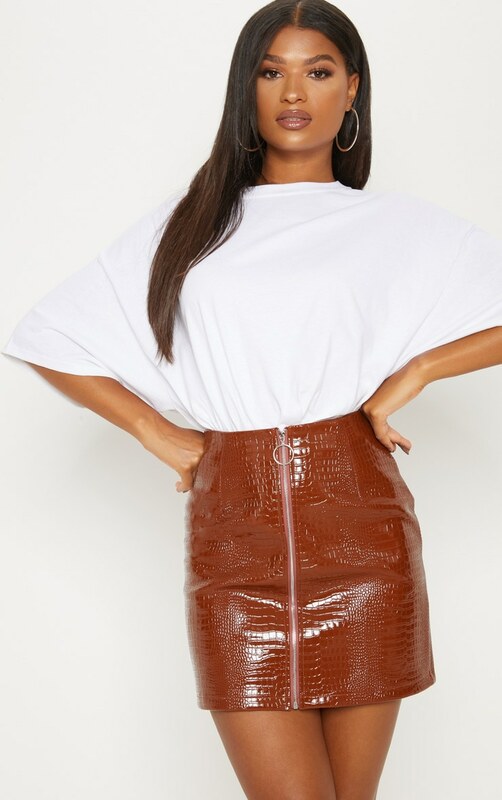 Style this skirt with a simple tee and heeled boots, complete the look with a clear bag.